Why choose the Replaceable Speed Ball Bladder? Has your Speed Ball gone flat!?! Not a problem! 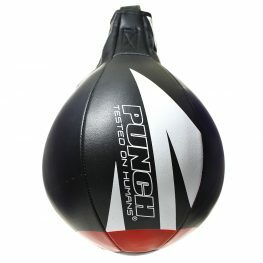 The Latex Replaceable Speed Ball Bladder is made for every Speed Ball in the Punch Equipment Range! Whether you own the Trophy Getters® Speed Ball, Mexican Speed Ball or the Urban PDX Speed Ball, this bladder is built for them all. Ensure to lubricate your pump needles prior to inflation. Do not over-inflate, ensure the ball feels firm and not solid as a rock. Changes in temperature and regular usage will require the bladder to be regularly topped up. Perishable, High Wear & Tear Product: Bladders are not covered under warranty.